From the author of the bestselling A Reliable Wife comes a dramatic, passionate tale of a glamorous Southern debutante who marries for money and ultimately suffers for love—a southern gothic as written by Dominick Dunne. It begins with a house and ends in ashes . 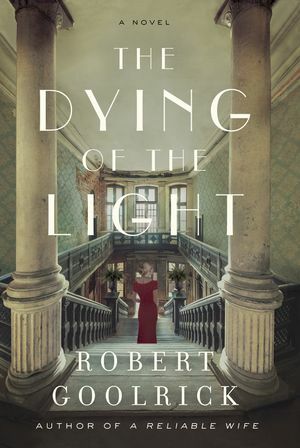 . .
Reveling in the secrets, mores, and society of twentieth-century genteel Southern life, The Dying of the Light is a romance, a melodrama, and a cautionary tale told with the grandeur and sweep of an epic Hollywood classic. I actually wanted to jot down a small message in order to appreciate you for the awesome points you are giving here. My considerable internet search has finally been rewarded with sensible facts and techniques to go over with my co-workers. I would repeat that most of us visitors are undoubtedly blessed to exist in a very good website with very many awesome people with insightful things. I feel really privileged to have come across the weblog and look forward to really more amazing times reading here. Thanks once more for a lot of things.